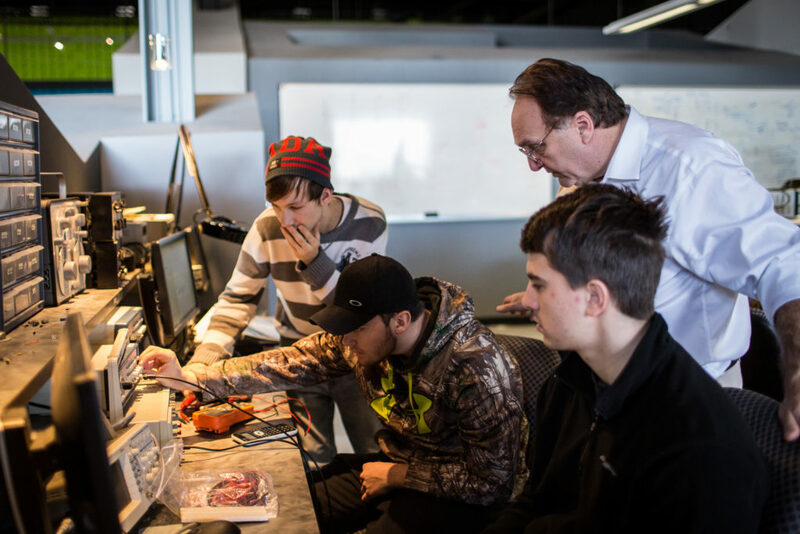 Through in-classroom and hands-on training in state-of-the-art lab spaces, the Electromechanical Technology Certificate introduces students to a variety of entry-level electromechanical skills, primarily in electricity, electrical controls and devices, and digital logic. Students in this program have the option of transferring into the Associate in Applied Science Electromechanical Technology Program, allowing them to earn hours toward their Journeyman license and access to higher-level employment and salary in the industry. Interested in a two-year degree in electromechanical technology?